Legendary actress Setsuko Hara, who starred in “Tokyo Story” and other films by Yasujiro Ozu and other prominent Japanese directors, has died. On Wednesday her family announced Hara’s death due to pneumonia at a hospital in Kanagawa Prefecture on Sept. 5. She was 95. Hara had been hospitalized since mid-August and her death was not immediately made public in observance of her wishes, according to a close relative. A private funeral service was held, the relative said. 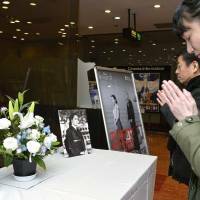 On Thursday, comments mourning the late actress were heard from across the Japanese film industry. “Setsuko Hara was given a role, namely to show the morality of the Japanese people in movies in a devastated Japan shortly after the end of World War II,” Shinoda said. With a career spanning from her 1935 debut to an abrupt withdrawal from the industry in 1962, Hara achieved fame as the heroine of golden-era Japanese movies in the postwar period. She starred in six films by Ozu, including “Tokyo Story” (1953) and “Late Spring” (1949), as well as in “The Green Mountains” directed by Tadashi Imai (1949), “El Idiota” by Akira Kurosawa (1951) and “Repast” by Mikio Naruse (1951) among more than 70 credits. Born Masae Aida on June 17, 1920, in Yokohama, Hara left high school and became an actress, encouraged by her brother-in-law, director Hisatora Kumagai. She landed her first role in 1935 and garnered popularity in her early work for passionate portrayals of tragic figures and for a distinctive look that set her apart from other Japanese actresses. Hara’s most career-defining work came in her postwar collaborations with Ozu, starting in 1949. She became known for her roles with Ozu and in other films for playing modest women characterized by strong traditional bonds to family, but also embodied the spirit of postwar Japanese modernity while playing independent and forward-looking heroines. Ozu, who praised her performances for their inner depth, was a major presence in Hara’s career, and her sudden retirement from acting at age 42 came a year after their final collaboration near the end of the director’s life. She did not attend Ozu’s funeral in 1963 and steadfastly refused offers to consider new roles or make public appearances, living instead in de facto seclusion for decades in the ancient capital of Kamakura in Kanagawa Prefecture. A 75-year-old nephew who had been living with Hara said that the actress’ last moments were peaceful. One of Hara’s neighbors said she saw her walking alone near her home several times five or six years ago. “Nobody in this area would talk to her (when seeing her on the streets), so I guess that allowed her to behave naturally,” she said. 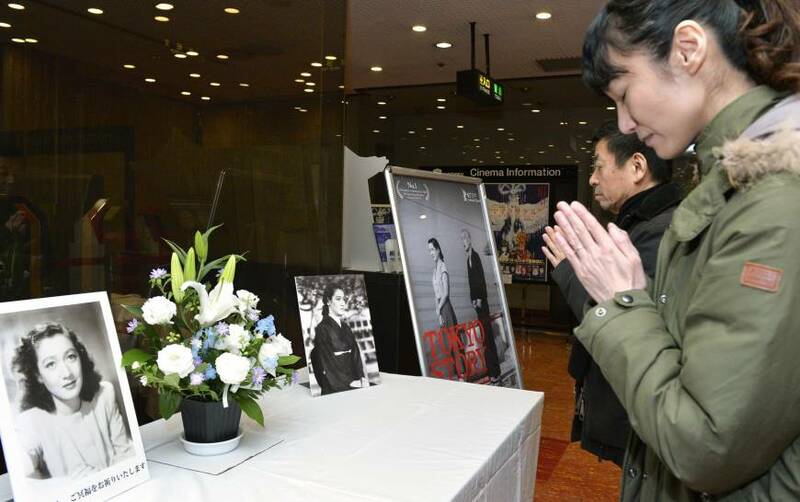 Many movie fans say they wish Hara had continued acting well into her 50s and 60s. Actor Akira Takarada, who co-starred with her, said he shared the wish, but at the same time he saw “beauty” in her courageousness in quitting abruptly and never coming back on screen.